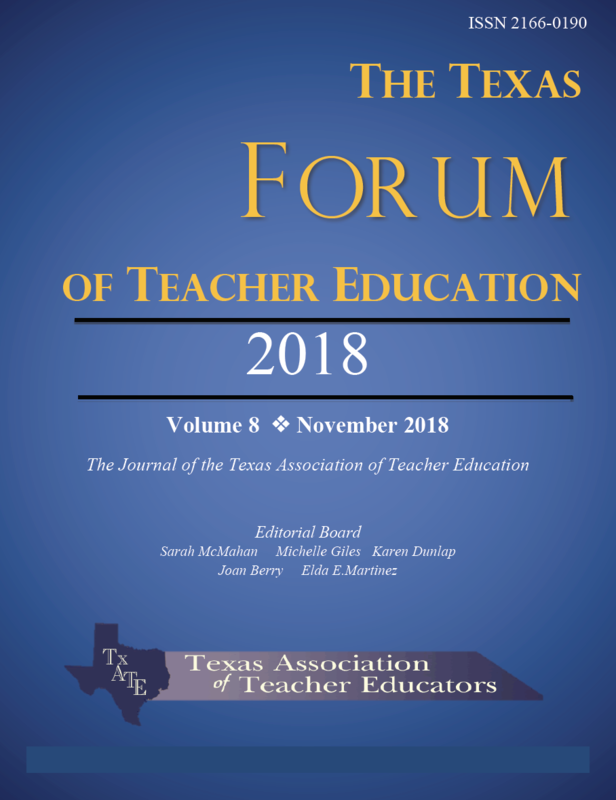 The Texas Forum of Teacher Education, a publication of the Texas Association of Teacher Educators, is a refereed journal published once annually. Articles in the journal are directed to both campus-based and field-based Texas teacher educators. TxATE members, including graduate students, are encouraged to submit manuscripts. Views expressed in the articles are not necessarily those of the editors or of the Texas Association of Teacher Educators. Full chapters available below. All files are in PDF format and require the free Adobe Acrobat Reader to view. To download the latest version, click here. Does Exposure to Higher Level Mathematics Affect Problem Solving? Click on the desired link below for the full publication.